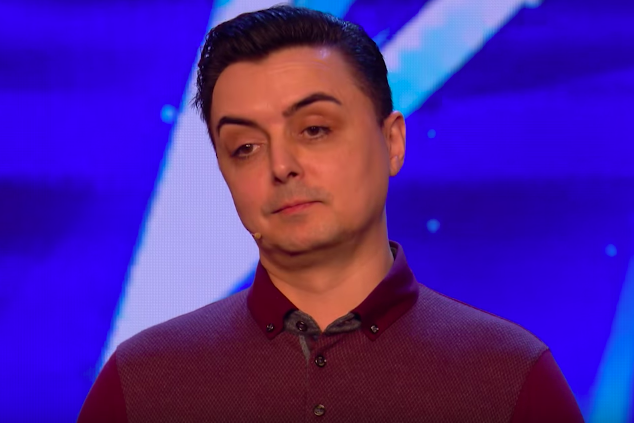 Marc Spellman stunned audiences when he appeared on Britain’s Got Talent on Saturday night, (April 14). After undergoing chemotherapy, Tessa, along with Isabella, both survived, and Marc’s pride and gratefulness for his family is evident. As you can probably imagine, Marc absolutely smashed it and was even hit with the prestigious golden buzzer by Ant & Dec. However, now, in the days which have followed, many fans believe they’ve sussed out just how Marc completed his trick. Trick was simple, but story great ! He made audience believe that all selection were done by judges. Actually he did selected all what he wanted to. The pen doesn’t work and the word “hat” was already circled in the book. The rubix cube was put in the box that had stickers. The box of crayons was split into two, one side all red and the other mixed. The cards was a trick of hand. The circle was already marked,the pen wasn't working. Why did he just had to put the mixed up cube back in the box? 4. The pen simon used prob was dry and already circled word was already circled. Ok, since you all want to know lol. The crayons [in] the box had one side mixed like 5 different colours. The other side was all red which she picked from. He showed the camera the mixed colours and then the other side are all red so when he shakes it they’re all red anyway. The cards – only the first few are different, after [the] first 10 the rest are probably all penguins. Simon’s pen had no ink and [the book was] already circled. [sic]. Could genuinely not have happened to a nicer guy. Congrats to Marc Spellman tonight on his BGT performance. I hope this gets him the life changing recognition he finally deserves. He is a class act on so many levels. Huge well done buddy. ? How do you think Marc carried out the trick? Personally I have no idea, but then again, I’m no magician.